An art historian shows you how to get started in building your own art collection. In “The Story of OJ” Jay-Z lays down a financial roadmap for those who want to live and die rich. In a time where we’re being advised to buy pearls and gold and walk around with 1000$ in our pockets at all time to attract riches, one of the world’s most well known rappers becomes an unlikely hero. Among Jay-Z’s most salient advice is to buy art – in his words: “I bought some artwork for 1 million/2 years later, that s#!t worth 2 million/few years later, that s#!t worth 8 million.” Good advice in theory, except for one problem – not everyone has a cool 1 mil to drop on a piece of art just lying around in their bank account. But that doesn’t mean that you can’t build a wildly profitable art collection of your own, and now’s a great time to do it. According to the Deloitte Art & Finance Report 2016, 78% of wealth managers surveyed (a significant jump from 55% just 2 years before) believe that art should be included in a wealth management portfolio, and 73% said their clients wanted to include art in their portfolio. As an art historian turned entrepreneur, I know first hand that if you know what to look for, art can be some of the most high-yield ROI investment on the market. 1. Go to MFA graduation exhibitions and find the artists-to-watch. MFA grad exhibits are goldmines for spotting artists on the rise. With a competitive barrier to entry (on average, programs receive hundreds of applicants and accept less than 3.5 percent), the candidates graduating from these programs are the best of the best. But even in the best of the best, there are ways to spot the unicorns: Look on the roster of artists for the ones who have received grants to support their work, a long exhibition history record, PR mentions, or any awards. While most students have a guaranteed stipend, the ones who have additional gold stars on their resumés are the ones most likely to be headed to a long and prominent career as professional artists, so their work will grow in value over time. 2. Use Instagram to find popular emerging artists. There’s two ways that Instagram can help you to identify artists with traction vs. those who aren’t going places yet. First, use city-specific hashtags (i.e. : #chicagoartist or #brooklynartist) to find artists that have large followings who show their works being displayed in galleries or museums. The last bit – galleries or museums – is key, because there are several popular self-taught artists in Instagram, but being able to get your work into a show is a great marker of credibility that the artist’s worth on the market is likely to increase. Jeremy Wolff (@jwolffstudios) is a great example of this – full-time since 2014, he’s recently been featured in Forbes & his Instagram feed is filled with photos not only of his works, but their appearance in various gallery spaces. He’s an independent artist who hasn’t signed with a commercial gallery, but his work has been validated. Second, find galleries that feature the work of emerging artists. These smaller galleries are great to Insta-stalk, because they only choose the best of the newbies to feature on their walls (a LOT of artists are vying for those spaces, so if a gallery accepts a submission, it’s because the artist’s work is usually well above the standard). You can follow the artist on social media to track if they’re getting more shows or if they’re being written about in media. 3. Regularly visit art magazine sites. Pay attention to artists who start receiving press on reputable art websites (Art in America, Canadian Art, etc.) particularly if they’re getting their first feature. Reporters for these publications actively pay attention to the rising stars in an attempt to get to them “before they’re famous” and establish an ongoing relationship, as well as to highlight their work as being relevant to the tone and trend of where art is headed at any given moment. The added PR helps artists sign with galleries, get grants, etc. later on down the line, which means their prices are going to skyrocket and the value of earlier works will increase. 4. Look for “new signings” or “debut shows” at commercial art galleries. Artists who have just been signed by commercial galleries are likely to see a boost in value on the market, especially if their work is being represented by a large gallery that gets coverage by notable news networks and art publications. The prestige of being an artist with these galleries means that an artist’s work is more likely to sell, and the added PR skyrockets their visibility and presence within the art world, which means that their dollar value over time will increase, too. 5. Find popular, but fringe niches. 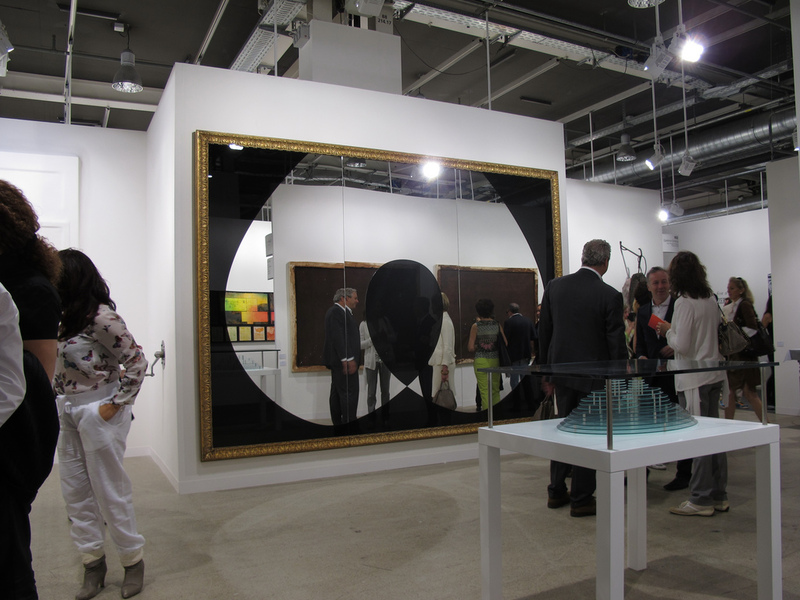 A popular, but fringe niche is a segment of the art market with considerable consumer demand, but isn’t widely collected by the general art buying populace. An example is Inuit Art – extremely popular since the 1950s, collectors of Inuit art are rabid fans who tend to have intimate knowledge of the artists and the annual print collection sale is a literal frenzy. Because the works are often unique or extremely limited edition, they can be resold for much higher prices just a few years down the road, particularly works by canonical artists. Buying pieces in these fringe niches with a specific but enthusiastic consumer base is a great buy because they make for easy, profitable resells. Ultimately, creating an art collection should be a personal project – you should want to hang all the pieces you buy in your home or your office – but you can do it strategically to yield a high ROI, too.